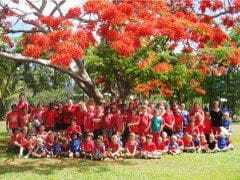 Get, red, RED, ready for Day for Daniel 2017! 'Day for Daniel' is a National Day of Action to raise awareness about child safety and protection. Parents, carers and guardians are asked to start a conversation about personal safety in the real world and in an online environment. 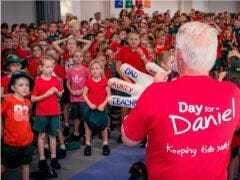 Wear Red, Educate and Donate is the theme of 'Day for Daniel' as we strive to have schools, kindergartens, businesses and community groups across Australia take action and conduct child safety activities in their local communities to help in 'Keeping Kids Safe'.